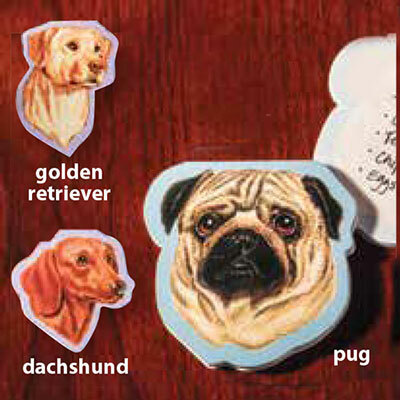 Dog-shaped notepads are rich in detail. Each pad includes 50 sheets. Approx. 4¾"l.